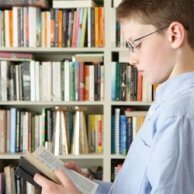 Using Classroom Libraries to Make an Impact on Kids and Benefit Yourself ! you may want to consider establishing one of your own. As you know, students invariably end up with "downtime"--time that can be used to wreak havoc in the classroom. 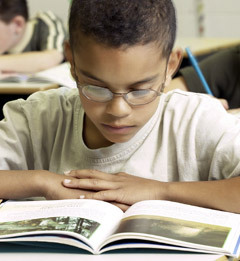 Requiring students to read independently when they have finished an assignment or an activity is a win-win situation. Use whatever means are available to you. Buy inexpensive books at used bookstores and dollar stores, attend local public library book giveaways, or even apply for a grant to secure funding. Ask your colleagues for any spare books that they might be able to give you--I think you will be surprised to see how effective that can be. Ask students and parents to donate books to your library. Here is a free downloadable sample of a letter that one of our teachers sent home with her students recently. Like many other schools across the country, the media center specialist at Twin Lakes sponsors an annual Book Fair. She times it so that the Book Fair is available during open house night--when all the parents will be there. Prior to open house night, teachers visit the book fair and make a list of the books that they would like to have in their classroom libraries. The media center specialist then posts these "wish lists" with their child's language arts teacher's name at the top of each list. When parents visit, students take them to visit the Book Fair. Parents see the posted lists, and many of them purchase books for donations. At one such open house, I was the recipient of over 30 books. Brand-new books! Hard bounds! Try to assemble a collection of at least 100 books--200+ if possible. As I'm sure you will agree, it takes a fairly long period of time to build a library collection of 200 to 300 books. In the meantime, require students to bring their own independent reading books to class every day. 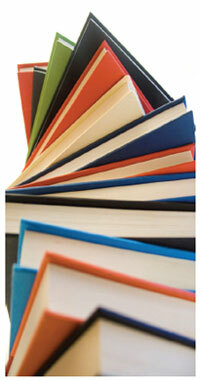 The only additional requirement is that each student brings a book that he or she is truly interested in reading. Having that requirement in place, of course, sets some students up for memory failure--they didn't remember to bring their independent reading books. They have nothing to read. Your classroom library will eventually be the solution. Although I am certain that you will make every effort to have appropriate reading material on your library shelves, you just can't read every book that you acquire to ensure that it is indeed appropriate. With that concern in mind, one of our teachers sent this letter (a free download) home with her students for parents to sign. Many students will only want to borrow one of your books for that particular class period; however, some will want to take them home with them. Either way, before you allow students to access your library, I would strongly suggest that you ask both students and parents to sign your Classroom Library Agreement. Although this will not guarantee that your precious books will grow legs and walk out of the room, it is a little extra insurance. A free sample of one such agreement may be downloaded here. You may want to consider posting guidelines for using your library where all students can readily see them. What follows is what one of our teachers used for her poster. She also made a copy of it to send home for parents and students to sign. 1. You may check out Reader's Digests. You cannot check out the other magazines, or books on the shelf with a sign saying you cannot check them out. 2. To check out reading material, check out only one book at a time. Fill out your name, title, and the date on the clipboard on the wall that is labeled "Classroom Library Checkouts". Return the book in two weeks. 3. To return one of my books, place it in the clear basket near the bookshelf. It is labeled "Classroom Library Returns". Do not update the clipboard; our class librarian will do that when he/she re-shelves the book. 4. If you lose or damage one of my books, you need to replace it with the same title or similar book. (Bring it to me for approval). Enjoy and respect my books! I always did checkout and return myself, but you may want to look at appointing a class librarian (as referenced above). Don't forget to include a "This book is the property of..." sticker or stamp inside of the front cover of each book in your library. There are a number of ways to organize and label books in a classroom library. I have more information that may be useful about this topic coming soon. A great time to check out books to students is at the beginning of the class period while everyone is working on the warm-up activity. Invite students who do not have books to scan the classroom library and make a selection. Once everyone has a book, everyone has something worthwhile and constructive to do during downtime. Near the end of the class period, when students are packing up to go to their next class, is a great time to checking books back in. I have found this to be an excellent way to maintain inventory. The other, and perhaps more important benefit, is that students develop the habit of reading. This is a habit, that I think we can all agree, is one that will serve them well throughout school and life as well.